My dad operated a small bus company in Shetland in the 50s. 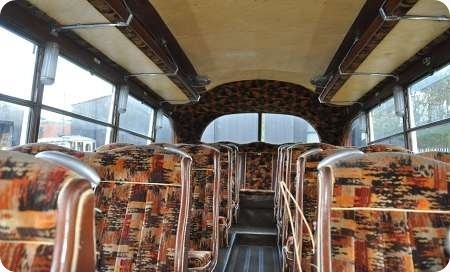 About 1955 he purchased a Guy coach, though don’t known what body. It looked very similar to the one in the photo above. The driver, the engine and a token seat were enclosed in the front by a half size panel topped by a upper glass sheet. I used to sit in the front beside dad, but ordinary passengers were not allowed. The coach was used as a bus, and the partition created problems getting fares. He normally collected fares before he left our village of Scalloway, but if anyone joined as he moved through the village on the way to Lerwick there was a problem getting the fare. It did not last long with him, and think may have been scrapped as too costly to take back to mainland of Scotland. The Coach was not pretty, and looked worse than your example. Don’t think any photos exist unfortunately. The coach to which Alan Young refers was NTU 269. a Guy Vixen with unrecorded bodywork, which ran with Georgeson & Moore (props Lollie Young and Donnie Jamieson) between 1952 and 1957. 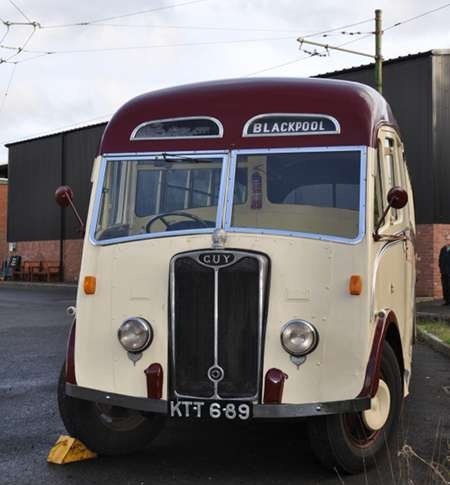 The coach was first registered in Chester in April 1951. 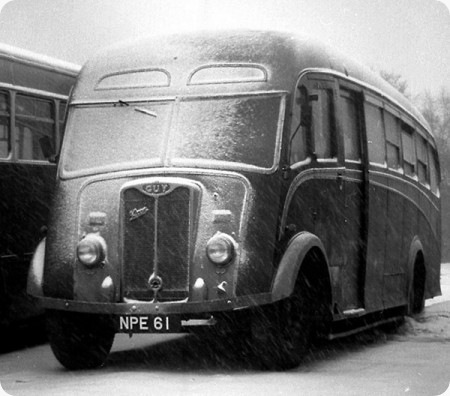 A picture appears in the late Gordon Jamieson’s book Shetland Buses in the 20th Century. Thanks to Philip Lamb for the info. It was not a thing of beauty, and very impractical for the work it was used for in Shetland. I can only think my Dad, Lollie bought it blind, as the cost of getting from Shetland to England would have been a consideration in the 50s. He probably did not realise the partition was there. I was a director of Georgeson & Moore later, and then Shalder Coaches if anyone requires any info.